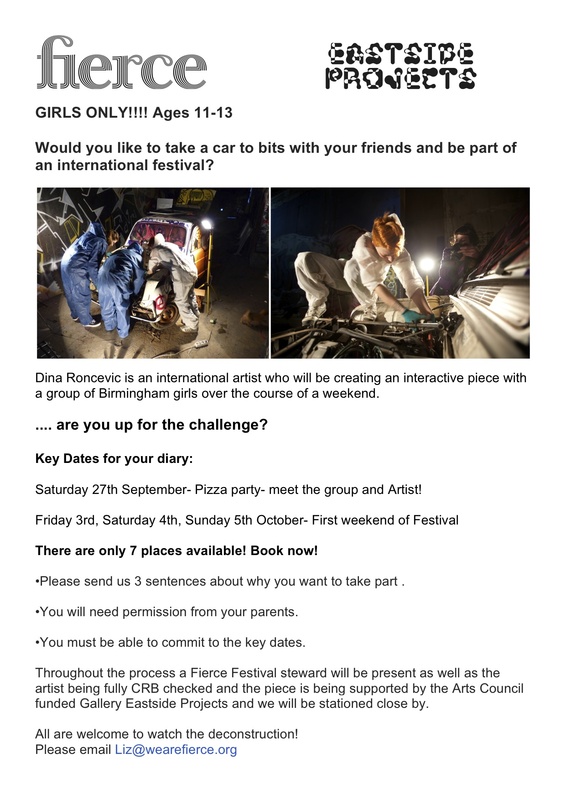 Fierce Festival | Would you like to take a car to bits with your friends and be part of an international festival? Would you like to take a car to bits with your friends and be part of an international festival? We are hosting an exciting piece by Dina Roncevic at Eastside Projects as part of Fierce 2014 and we need participants! – Email liz@wearefierce to book. Previous: What is an Algorave? Find out at Club Fierce Sat 4th October! Next: 100 Swimmers in Moseley! Were you there?